This year we will be back for year number fifteen, albeit with a slightly different schedule as we are now running two separate Summer Camps! First up is a Junior Camp open to players currently in school year 6, 7, 8 and 9 will run between Monday 25th July to Friday 29th July. We will also run a pre-season camp for our NBL and SWRL players between Monday 15th August to Friday 19th August. Both camps will run from 9.00am until 5.30pm meaning players can play over 40 hours of basketball in a week. Places traditionally go fast, as they are very limited to ensure all players receive the attention needed to improve. All at a great price that works out at less than £3.00 per hour! To download a copy of the brochure for the Junior Camp, please click here. 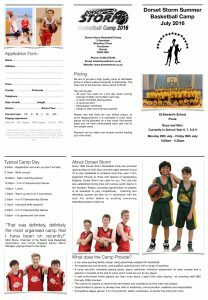 Current NBL and SWRL players will have been given a copy of the camp leaflet in the ‘Big Summer of Basketball Envelope’. You can reserve your place for either camp now with a £35.00 deposit. For further information please contact Jill. 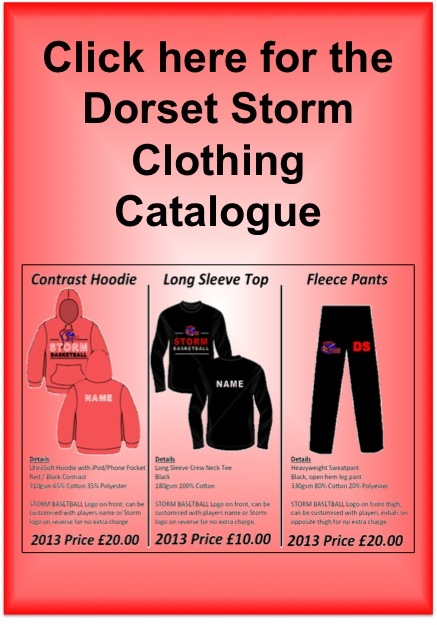 Post by Dorset Storm Basketball Club. Click hereto download the Booking and Payment Terms and Conditions (for Summer Camps only).